on 27 February 2015. Our thoughts are with his family. 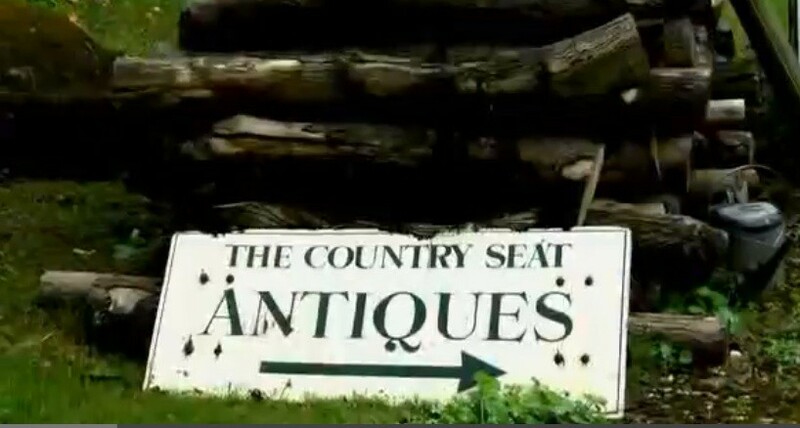 The Country Seat website was retired in June 2013. Willie Clegg and Harvey Ferry called it a day after forty years of dealing at The Country Seat. Casting my mind back to over 40 years or more ago to the days at Christie’s in London when the turnover was a fraction of a recently auctioned Picasso painting and the entire staff was around 120 people as well as holding nearly 8 sales a week during the season. It’s interesting to note of the young men who started there those that went on to become doyens in the Fine Art trade. In London, the late Christopher Wood with his pioneering work in Victorian artists and paintings, Johnny van Haeften and his impressive Old Masters and Thomas Heneage of the world’s leading dealers in Reference Works for the Applied and Decorative Arts; and in the provinces it would have to be Willie Clegg and Harvey Ferry. Starting in Nettlebed in 1971 and eventually moving to premises named The Country Seat with Sally Clegg looking after the administration and paperwork along with various guard dogs Stubbs, Spats and others. Early days at Nettlebed involved sourcing fine Georgian furniture from provincial salerooms and private sellers and by eschewing the London rooms meant that they became an imperative call for the London trade. The move to The Country Seat entailed a refocus of the business so “Signed & Designed” was to be their innovation; signed pieces of grand 19th century furniture were sourced countrywide and amongst their discoveries were: the rosewood Gothick Blain bookcase sold to The Lady Lever Art Gallery, Liverpool: the Batley dressoir in the Brighton Pavilion; two Aegyptian Moyr-Smith chairs sold to The Museum of Fine Arts Houston and several pieces to the Geffrye Museum, London. To be included in the sale are several major pieces with provenance including an ash writing table from Marlborough House by Holland & Son and an unique ebonised secretaire decorated in the Japanese taste with pies, flowers and a poem designed by Christopher Dresser and made by Foley of Bristol. Another aspect of the refocusing was the concentration on Whitefriars glass with several exhibitions; also included in the sale will be a select group of this factory’s production from the 19th & 20th centuries. I know for many of Willie & Harvey’s friends and business colleagues travel along the A4130 will not be the same after this sale; we shall all miss the friendly welcome of a cup of tea or a glass of wine and the lively conversation.